Distribution : Western Indian Ocean - Natal (South Africa), Madagascar, Reunion Is, Seychelles Is. 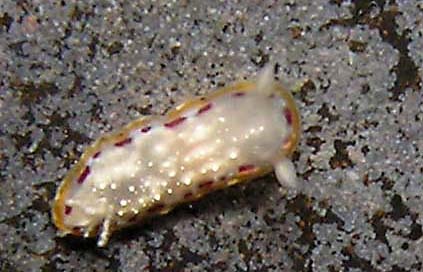 Fine opaque white spots are observed on the dorsal surface of mantle (notum). 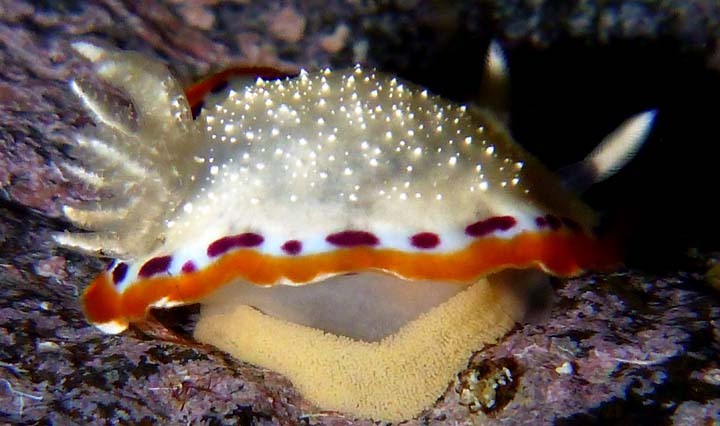 This species closely resembles Goniobranchus decorus, but differs in possessing opaque white spots on the dorsal surface of mantle (notum). 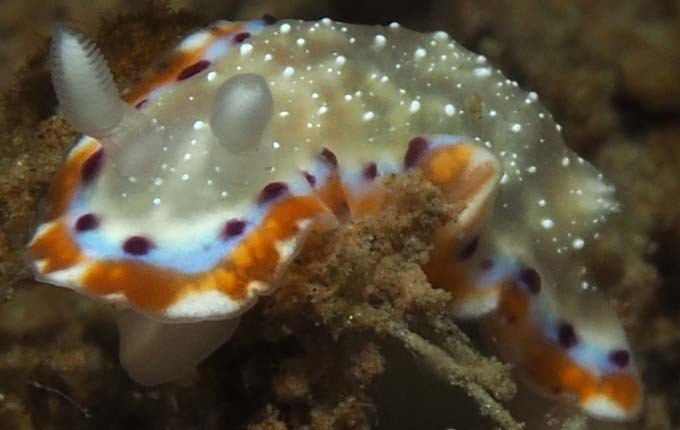 G. decorus possesses a typical colour form with white Y-shaped pattern on the notum or purple spots in centre of back. Gosliner, T.M. 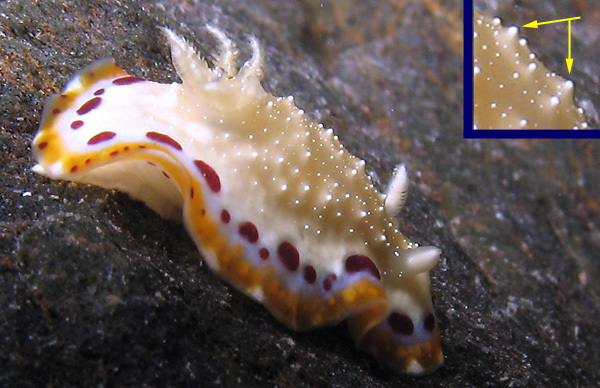 (1981) Nudibranchs of Southern Africa. 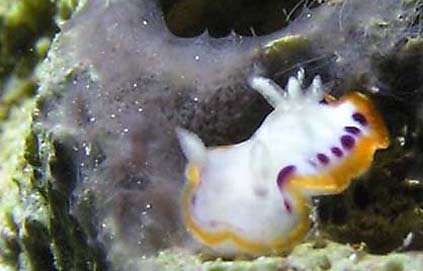 Chromodoris sp 4. , p.77. Gosliner, T.M. 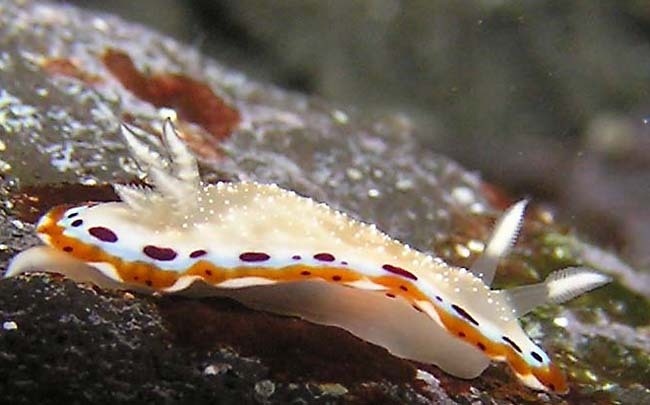 (1994) New species of Chromodoris and Noumea (Nudibranchia: Chromodorididae) from the western Indian Ocean and southern Africa. Proceedings of the Californian Academy of Sciences, 48(12) : 239-252. 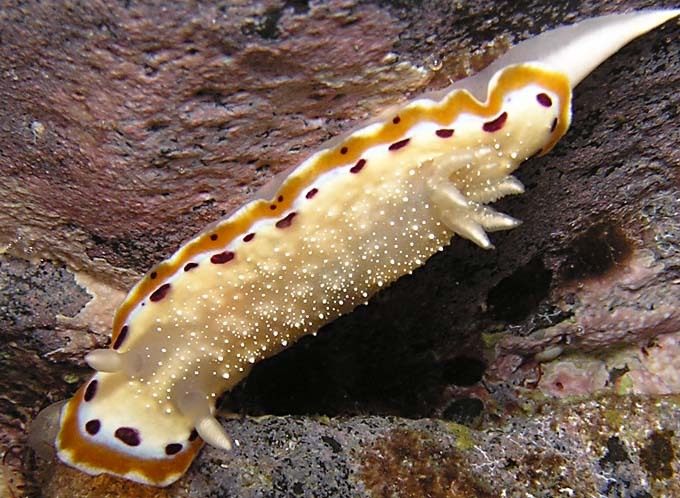 Rhinophores structure : The stalk of the lamellate rhinophore is translucent and the club is white. All these specimens were observed at Etang salé les bains on a rocky coast.